Do one thing, every day, that makes you happy. This is my new mantra. I am all about life’s simple pleasures. I don’t need much to keep me happy. With me, it’s the little things. I quickly realized this as I am confined to mandatory bed rest for six weeks, to heal from the c-section that brought me my darling Lucas. I am itching to tackle huge projects at home and reorganize and redecorate every nook and corner of my home, but I am physically unable to do any of this. Instead, I am limited to spending the majority of my time at rest, reading, listening to music, and gazing at my sleepy Lucas most of the day. However, all hope is not lost on me. I have been able to keep my spirits up by tackling smaller tasks here and there. I have also grown a deeper appreciation for my time with Eva and Zoe, since it is so limited and controlled these days. I still can’t pick up my girls, but it doesn’t stop them from trying to jump into my arms. I’m hoping that if I can focus on the things that make me happy, I will find more balance and time to spend on those things that are guilty pleasures (i.e. facebook, pinterest) and be able to better tackle those necessary evils that cannot be ignored (i.e. pay bills and plan dinner). I’ve already started small. 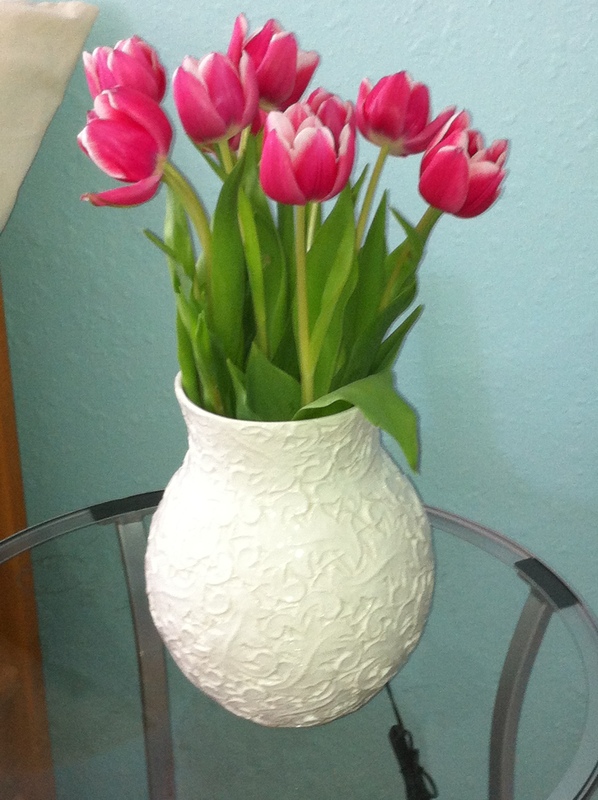 Yesterday, I bought fresh tulips for the home and the happiness factor has already spilled over into today when I see them brightly sitting by my bedside. Today, I’ve already completed two unfinished tasks AND reached out to a friend. The inspiration is never-ending. What will YOU be able to achieve once you start focusing on the good?